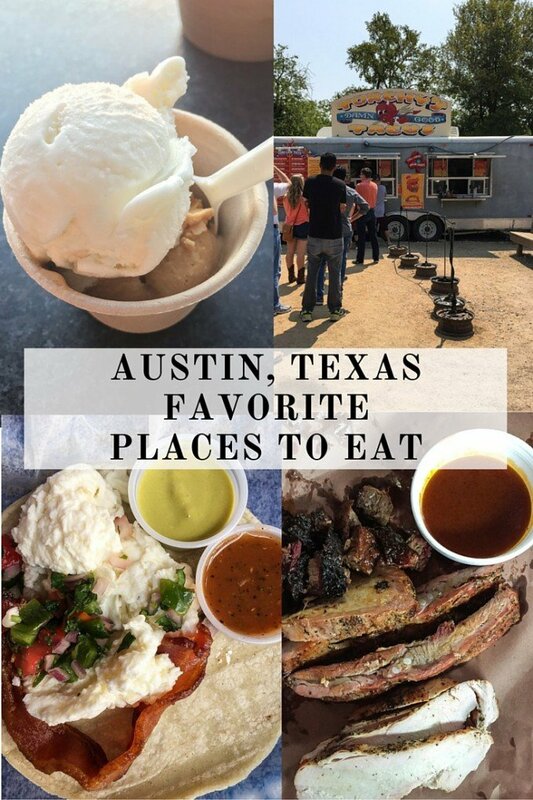 Today instead of a recipe I’m sharing with you some of my favorite places to eat from my latest trip to Austin, Texas. I’ll be talking about where to run and what to do in a later post. My sister lives in Austin so not only is it a perfect way for me to spend a fun weekend with her, but also to get a taste of all that Austin has to offer. Let me tell you that they have a LOT to offer! If you’ve never been to Austin it’s in central Texas and is one of the fastest growing cities in the U.S. Although I’ve never been to any other cities in Texas, I’ve been told that Austin isn’t like the rest of them, it’s unique, and in some cases weird. Perhaps that’s why they’ve coined the slogan “keep Austin weird”. The true meaning of the slogan is actually referring to their desire to keep small, unique, local businesses from being overrun by large corporations, something I 100% support. The number of small businesses in Austin is truly amazing. Everything from restaurants, food trailers, bars, boutique clothing shops, and so much more. My biggest interest while visiting is of course to sample some of the delicious food! Below I’ve compiled a few of my favorite spots to eat at. Torchy’s Tacos was my first stop for lunch in Austin. As their website states, they are some damn good tacos! My sister and I shared three different tacos. The Green Chile Pork, The Democrat (one of their signature tacos and a must try if you like barbacoa), and the Chicken Fajita Taco. Each of the tacos were flavorful and the meat was perfectly cooked. We had ours on corn tortillas, but if you prefer flour tortillas they have those as well. We topped our tacos with some of their sauces, my favorites were the tomatillo and the poblano. 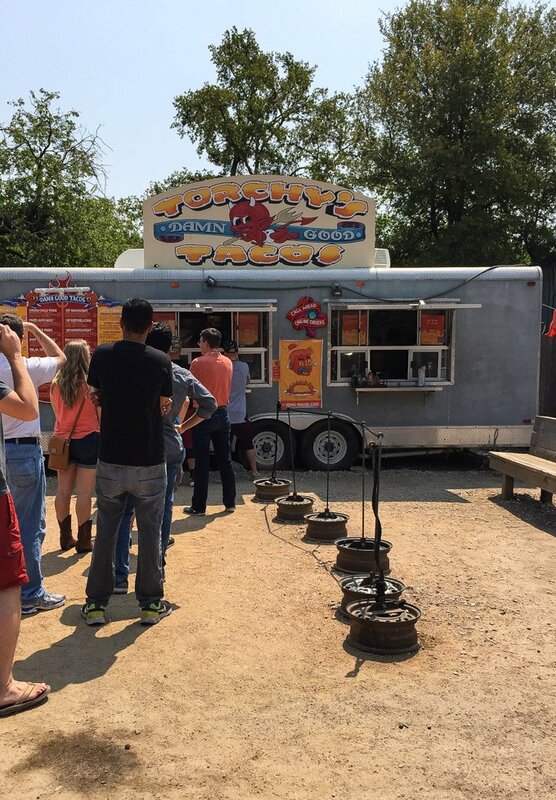 Torchy’s has multiple locations, but we happened to visit the original location which is run out of a food trailer. 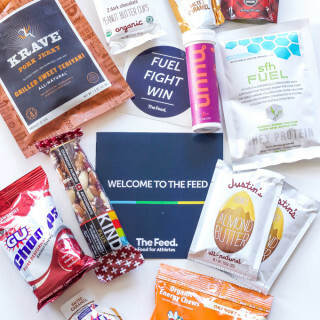 One of the best things I found out is that they are coming to Denver, with their first location opening this winter! With Torchy’s still on my mind the next morning I knew I wanted to go back and have one of their breakfast tacos! 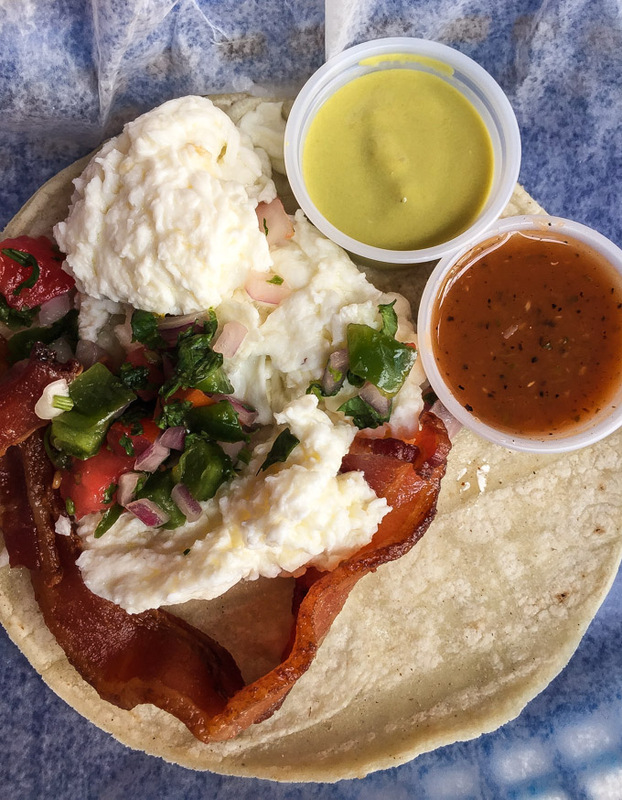 If you are only in Austin for one day and breakfast happens to be a meal you are there for, you must get your hands on a breakfast taco! A breakfast taco is everything you love about regular tacos, but filled with breakfast items instead. 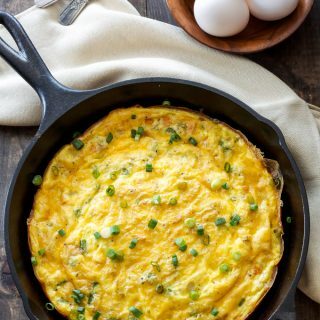 The basis is eggs, but then additional items like potatoes, bacon, sausage, chorizo, and even brisket can be added. I had just finished a long, sweaty, 14 mile run so I knew I wanted some salty bacon in my taco. 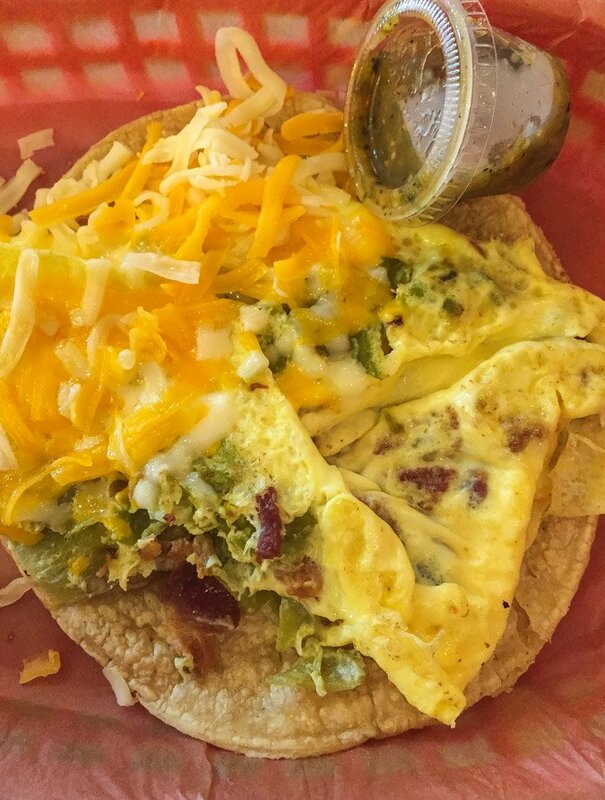 I chose the Monk, which was eggs, bacon, green chiles, and cheese. I of course doused it in the tomatillo sauce and downed it like it was my last meal on earth. The Monk totally hit the spot and I probably could have eaten three of them, but I knew there was going to be a BBQ feast later that day so I resisted. 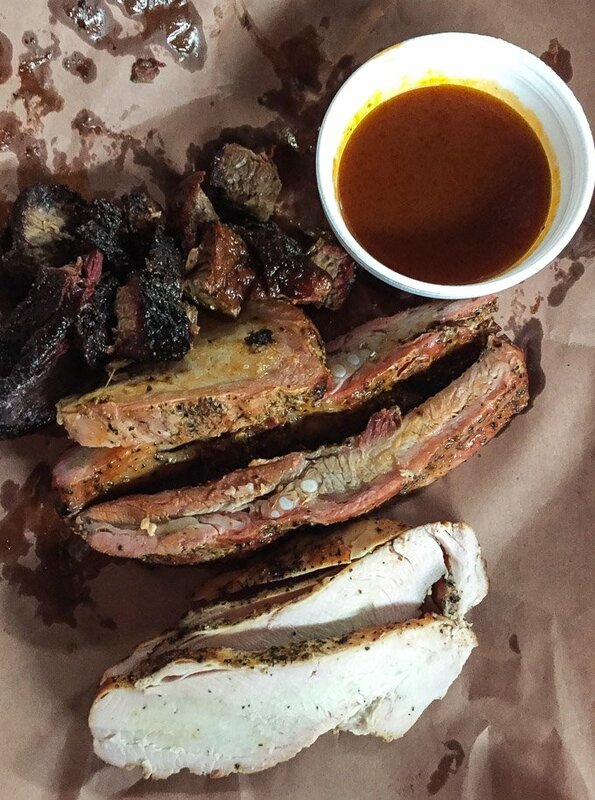 Let’s talk barbecue, because it’s Texas after all. The original plan was to try out Franklin Barbecue. 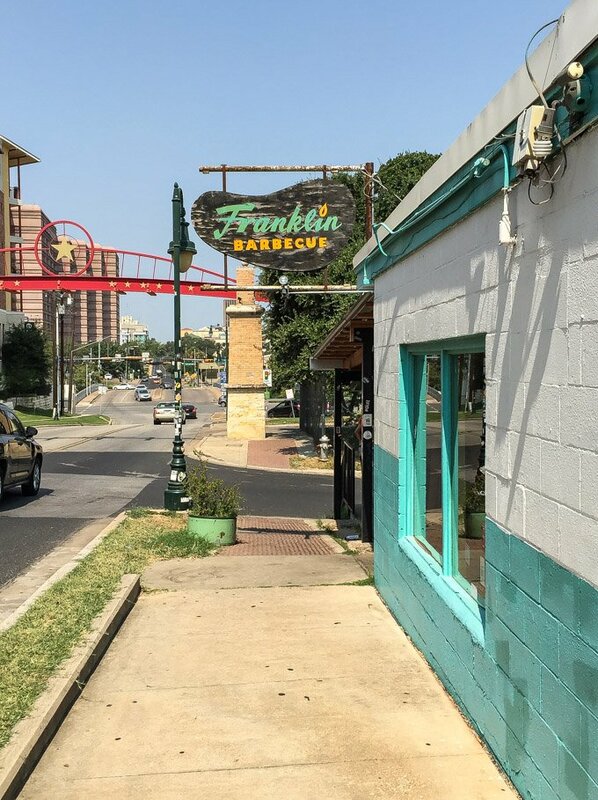 This is supposedly one of the top places to get your hands on some tasty Texas barbecued meat! Well we got there at 11:15 and there was a two hour wait and we had just missed the cutoff for a guarantee that would have something left. The people who want to eat here are serious about it. 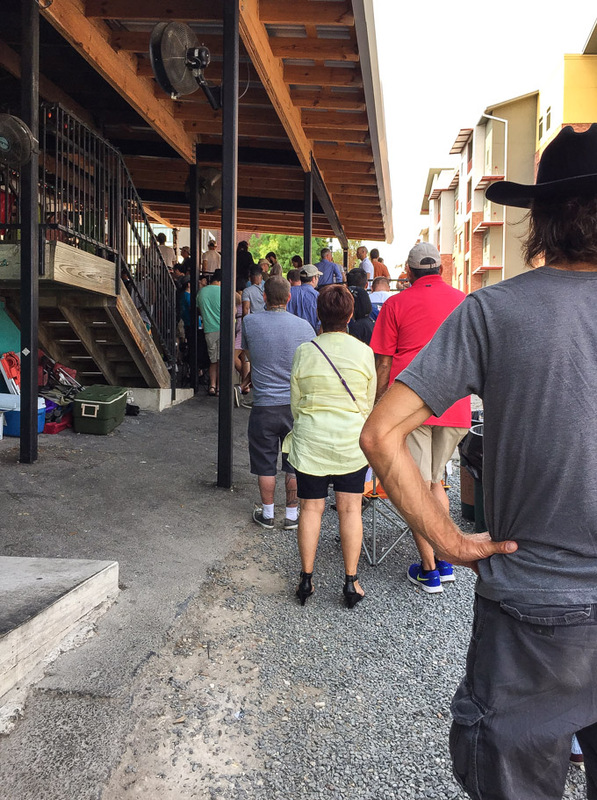 They get there early in the morning with their lawn chairs and cold drinks and park their butts in line for hours just to get their hands on some of the coveted smoked meat. As much as I wanted to taste it, the thought of standing in the humidity and hot sun that long was not appealing. We decided to skip it for the day and the following day found ourselves at Cooper’s BBQ in Llano, Texas. Since we were already headed out of Austin to see some caverns, Cooper’s was the perfect stop on the way back. This was my second time eating here and it was every bit as good as I remembered it being. Perfectly smoked meat served up on fancy Texas china, aka a piece of paper! We sampled the lean brisket which has some of the best bark on it that I’ve ever had, smoked turkey, pork loin, and finished of the meatfest with one of their pork ribs. Our eyes were clearly bigger than our stomachs and we went home with plenty of leftover. 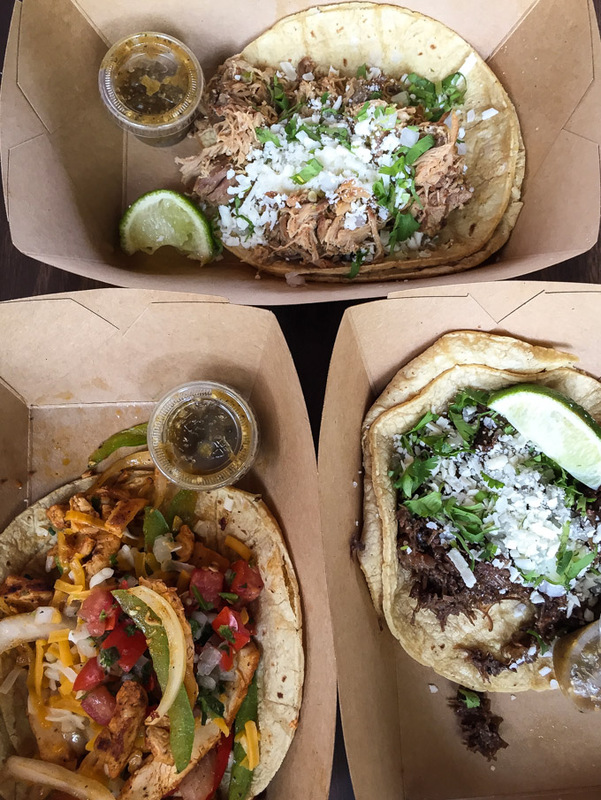 Torchy’s isn’t the only place to grab tacos in Austin. You can find a different taco place on almost every street, that’s not to say they are all worth eating at. Another taco shop that I fell in love with on my first visit to Austin, and again on this trip was Tacodeli. After spending the morning running around Lady Bird Lake we refueled with another round of breakfast tacos. I went with their Taco Blanco that is made with egg whites, and of course added bacon because I can’t help myself, and some pico de gallo. My sister enjoyed their Migas Taco which is one of her favorites. My favorite salsa to drench my tacos with is their signature Salsa Doña. This salsa has quite the kick to it, but it’s completely addicting! You all know by now my love of ice cream and Austin has some that is not to be missed! First stop was Amy’s Ice Creams. 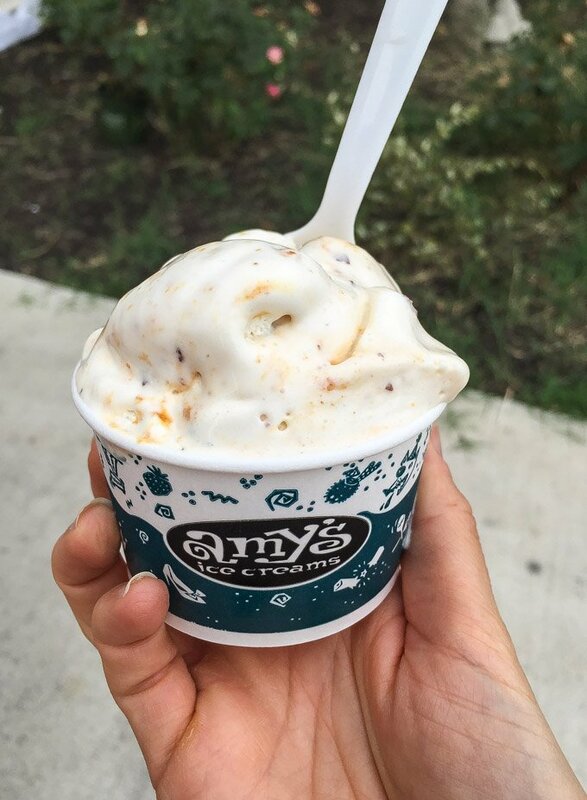 Amy’s has a great selection of flavors, all of which are creamy and delicious! We went there a couple times and on top of sampling about 10 different flavors I got a bowl of their Butterfinger and Chai Tea Latte. They offer a variety of mix-ins and toppings as well, my sister opted for the brownie both times, so so good! She also informed me that if you are there in the winter, their peppermint ice cream is very good! The second ice cream shop we went to was Lick. Lick is known for their unique flavors and pure, wholesome ingredients. 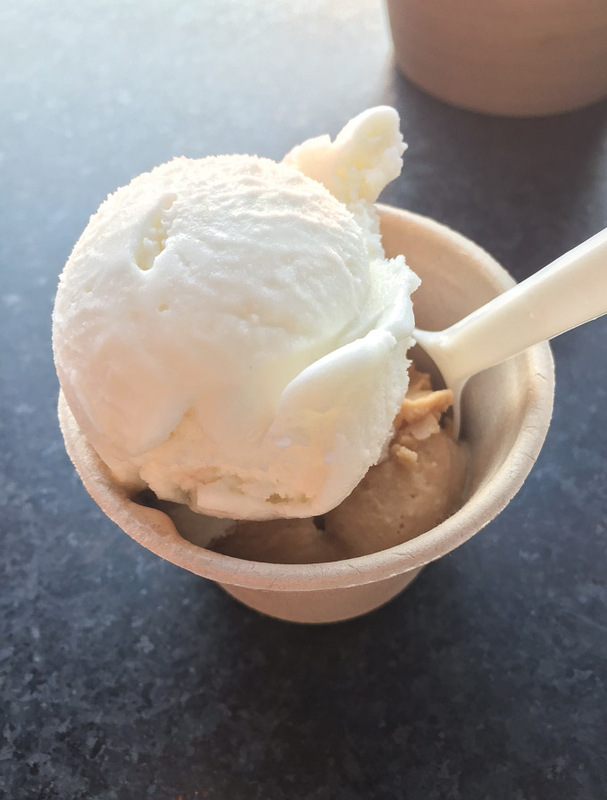 The milk and cream comes from a local dairy in central Texas and all of their toppings are made by hand in their kitchen. After much debate on what to get and multiple samples, I decided on a scoop of the Goat Cheese, Thyme, and Honey ice cream and their most popular flavor, Caramel Salt Lick. The rich flavor of this ice cream is not to be missed! Some of the other flavors I would recommend are the Milk and Cookies, Dark Chocolate with Olive Oil and Sea Salt, and S’more Meringue. They also carry several vegan ice creams, the peanut butter chocolate was delish! There are hundreds of choices of places to eat at while you are in Austin and I have barely scraped the surface of all they have to offer. However, the places I’ve shared are all delicious and ones I will definitely go to again on my next trip! Oh wow!! I will be going to Austin for the first time this October......THANK YOU for posting this! Everything sounds WONDERFUL!!!!!! Olive oil in ice cream? I am dying to try those flavors! You have to make a stop into Lick Caren! The ice cream flavors are amazing! I had such a hard time deciding which ones to get. Im a Texas native and I can 100% say Austin is unique. No other city is quite like it but then again that goes for pretty much all Texas cities :) Im in Houston but San Antonio is another really fun city. You hit some great food places, if you ever go back though Kerby Lane is THE BEST breakfast place. It gets pretty crowded too but in my opinion totally worth it. And the salt lick, yum yum yum ribs. I will definitely be back Rachael, there are still so many places to EAT!! I've heard of Kerby Lane and I will make sure to check it out the next time I'm there. Thanks for the recommendation! I've heard Austin is a pretty great town. 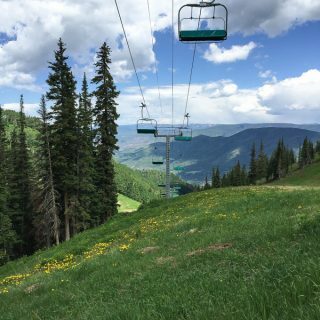 I'd like to visit one day. Thank you for the suggestions, Danae! Austin is great Julie, so much to do and so many places to eat! I think you'd love it! I just read this post and said to my husband "we need to plan a trip to Austin ASAP!" All that food looks amazing and now I want tacos for breakfast....haha. You guys would love Austin Brandy! There are so many great places to eat there, more than I could ever go to in one visit. Breakfast tacos are a must! Hi, We live in Dripping Springs (5 minutes away from Austin-our mailing address is even Austin, haha). Some of the best places to eat are Chuy's & Flores if you enjoy Mexican-it's THE best! Pizza Cave, Maudies Hacienda (wonderful Italian) Hill Country Ranch Pizzeria, Torchy's Tacos, Austin Pizza Garden, the list can be endless. Enjoy your trip & be sure to checkout the Green belt & Town Lake, also called Lady Bird Lake.